MPs have rejected Theresa May’s EU withdrawal agreement on the day the UK was due to leave the EU. The government lost by 344 votes to 286, a margin of 58. It means the UK has missed an EU deadline to delay Brexit to 22 May and leave with a deal. The prime minister said the UK would have to find “an alternative way forward”, which was “almost certain” to involve holding European elections. Mrs May now has until 12 April to seek a longer extension to the negotiation process to avoid a no-deal Brexit on that date. Thousands of Leave supporters gathered outside Parliament to protest against the delay to Brexit, bringing traffic to a standstill. MPs reject Theresa May’s EU withdrawal agreement by 344 votes to 286, a majority of 58, throwing UK’s Brexit plans into more confusion. Prime Minister Theresa May has lost again in her bid to get Parliament to back her EU divorce plan. So what does Britain want, and what happens next? CBS News’ Mark Phillips tries to explain the inexplicable. Once again, the Commons has concluded a voting session with rather chaotic scenes involving Tory MPs having a scrap with John Bercow. 21 March 2019 – Nigel Farage locked horns with arch-Remoaner Anna Soubry on Politics Live this morning in a firey exchange. Downing Street said it was still not an “inevitability” that the UK would have to take part in elections to the European Parliament in May. “Clearly it was not the result we wanted. But, that said, we have had a number of senior Conservative colleagues who have felt able to vote with the government today. They have done so in higher numbers than previously,” the source said. In a statement, the European Commission said the UK would have to “indicate a way forward” by 12 April “for consideration by the European Council”. 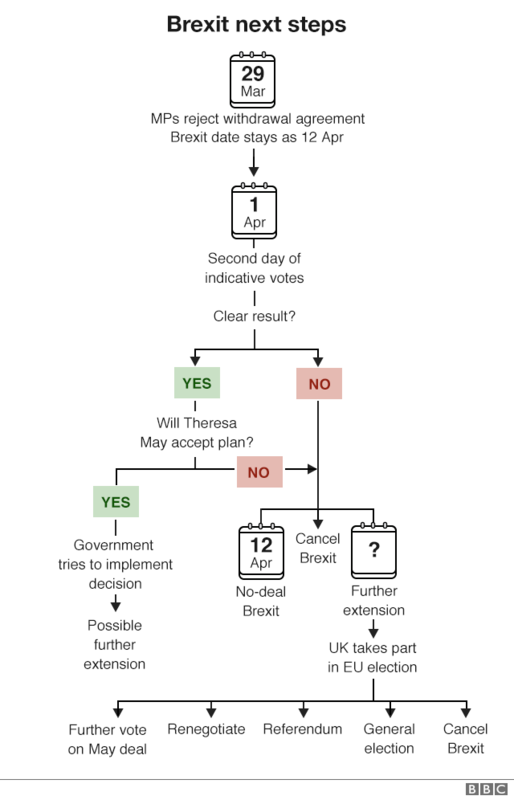 “A ‘no-deal’ scenario on 12 April is now a likely scenario. The EU has been preparing for this since December 2017 and is now fully prepared for a ‘no-deal’ scenario at midnight on 12 April. The EU will remain united,” the statement said. “This must be the final defeat for Theresa May’s deal. It’s finished. And we must move on. 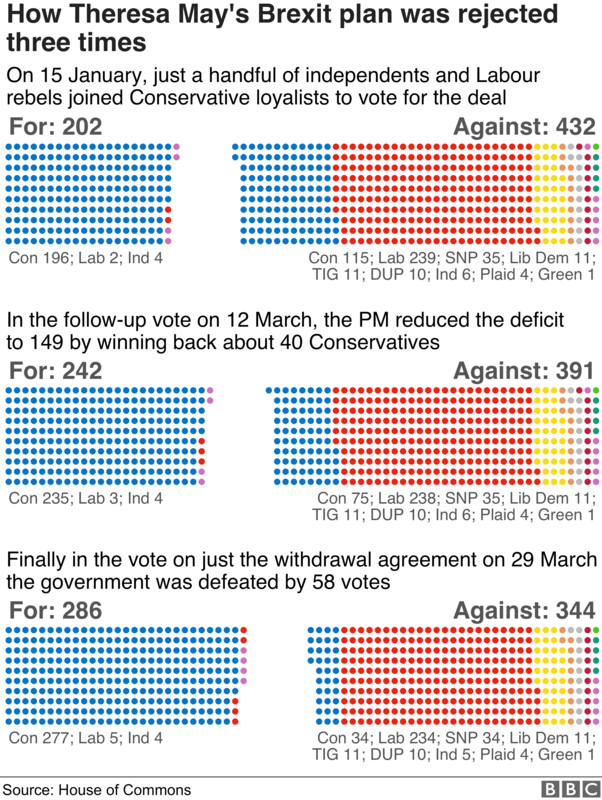 This was not a third “meaningful vote” on the PM’s EU deal, which also includes a political declaration on future relations between the UK and the EU, and which has previously been rejected by larger margins. By holding a vote on the withdrawal agreement only, the government had hoped to secure a short delay to Brexit and avoid the UK taking part in May’s European elections.